After the the “feminist occupations” of 2015, SPW began highlighting the art work of young Brazilian artists that carry strong imprints of Brazilian contemporary feminisms. One of these artists is Rosana Paulino. 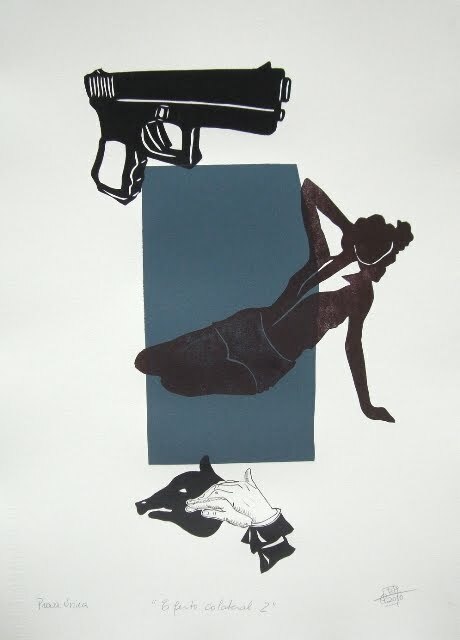 Born in São Paulo, she has a PHD from the ECA/USP and a master in engraving from the London Print Studio. Her work has been exhibit widely in Brazil, as well as in the US, Chile, Belgium, the Netherlands, Portugal and Spain. The female body, blackness and racism, ancestral memories and marks of slavery are at the core of the Rosana’s laborious artwork. On May 2018, when Brazil commemorates 130 years of abolition of slavery, we revisit Paulino’s work that so strongly reminds us that freedom from slavery, albeit, fundamental is is not enough to overcome exclusion and racism.